John’s Automotive & Service Center is a full service auto repair facility located in Midland, TX. It is our goal to get you moving down the road safely at a price you can afford. 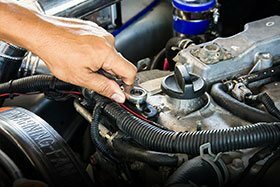 John’s Automotive & Service Center is a full-service preventive maintenance and auto repairs center in the Midland, TX 79701 area, specializing in General Services, Car and Truck Care. 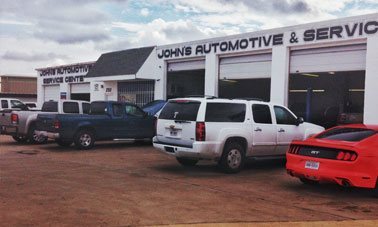 Since 1976, John’s Automotive & Service Center has provided full service auto repair and maintenance in Midland, TX. Our full service facility services foreign, domestic & light trucks. Our success stems from the fairness of our rates, the quality of our services, and the dependability of our highly skilled team. 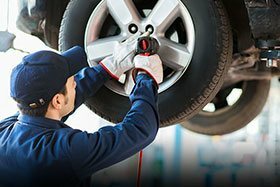 Our customers know us as a company that can be relied on, and completely entrusted with the quality care of their vehicles, and that’s a reputation that we’re proud of! We are a family owned business and a full service auto repair facility located in Midland, TX. 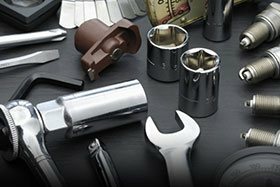 We are a full service facility servicing foreign, domestic & light trucks. All vehicle manufacturers recommend that certain service be performed at a given mileage or time in order to keep your car in top condition. 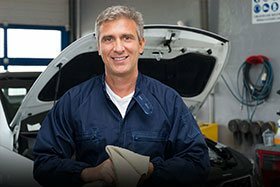 Regardless of the model and make of your vehicle, our experienced Midland Auto Repair Shop can provide it with a full garage service.